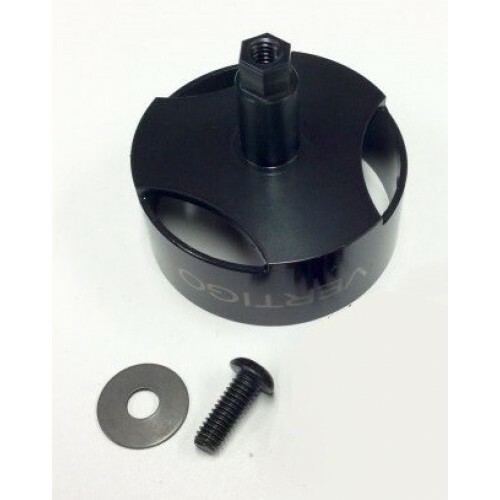 DBXL/RCMK/Baja Hex Drive Steel Vented Clutch bell. - Using our successful Hex key format we have designed a killer Clutch Bell Pinion set up for the DBXL/RCMK/Baja with High Horsepower engines. - Tapered face for greater integrity where the shaft meets the bell. - 1.5mm wall means there is less flex and the bell will last longer. - Large vents at the side/face the extract clutch dust (and dirt when using an open carrier) to keep your clutch running clean, smooth and efficient. - Checking clutch wear without removing the bell is as easy as looking through the vents.